One of the most important key factors in designing your project is knowing how much space you will need. It is very easy to overestimate the size of deck or patio you need. In order to help our clients determine the amount of space they need, we discuss three important aspects. 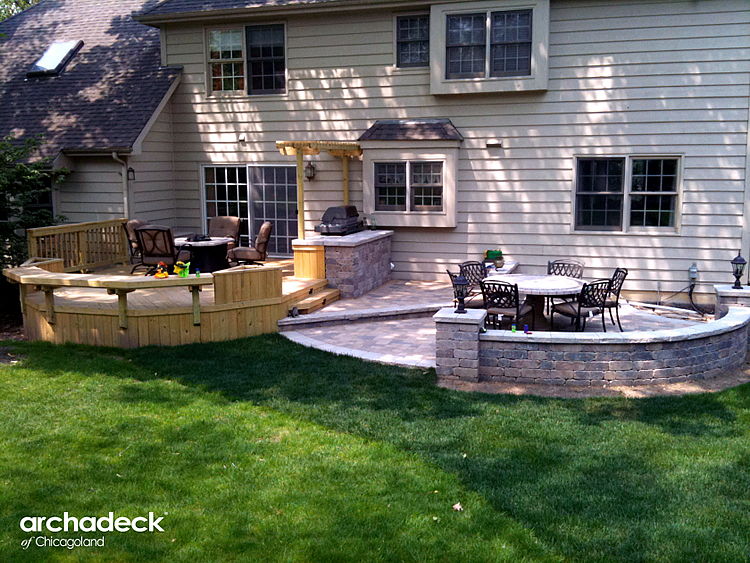 Planning and designing your deck, patio, or other outdoor living space is an exciting time! Knowing how you plan to use your space is essential to determining the size of your project. Are you looking for just enough space for a couple of chairs to enjoy your morning coffee or sit outside and read? Do you want enough space to entertain several guests for frequent parties? Do you want space for a grill, dining area, and a seating area? Will you be using a small table and grill or do you plan to have large outdoor furniture pieces? Take measurements of the furniture you plan to use on your deck or patio and give the piece an appropriate amount of space. Don’t forget to leave foot room in front of a chair and space to move your chair back from a table to stand up. For example, for a dining table with four chairs, we generally allow 144 square feet. 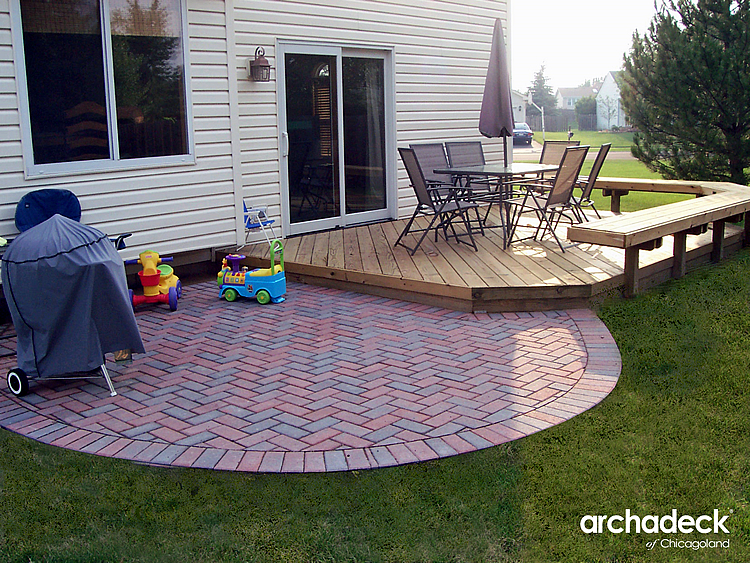 At Archadeck of Chicagoland, we design to your budget. The last thing we want to do is present you with designs that are two or three times what you are planning to invest. If a 14’ X 20’ deck will accommodate your spatial needs and fits within your budget, then there is really no reason to design something larger. You can expect the cost for your project to increase as your project grows larger. Another aspect that falls under budget consideration is the type of material you would like to use. Are you considering wood or low maintenance materials for your deck? Wood tends to cost significantly less than low maintenance, but you may find low maintenance is worth the investment. Pavers for a patio are fairly comparable to wood prices for a deck…but do you want add-ons like a fire pit or seat wall? Materials and amenities are important to consider while determining how you plan to budget for your outdoor living space. 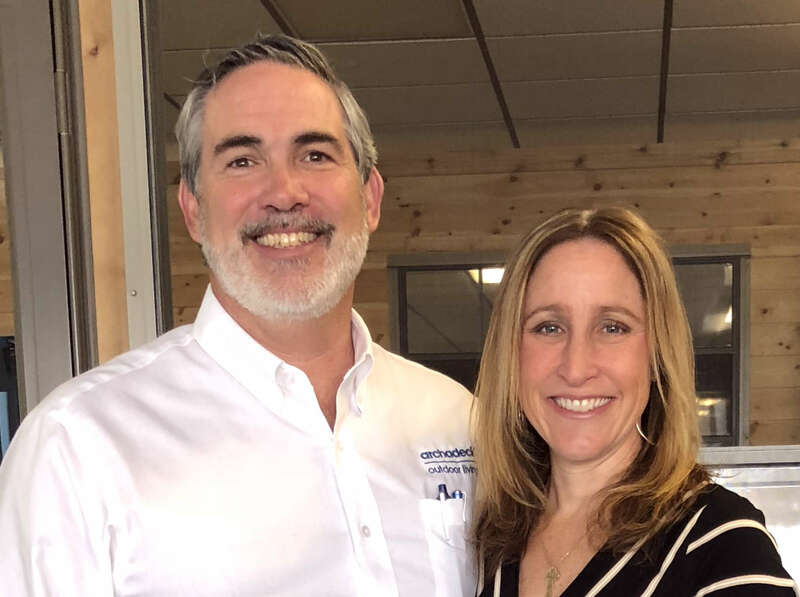 The great news is, if you’re planning to work with a design-build company, they will often walk you through this process as they help you plan the perfect design for your deck or patio. That said, it is always a good idea to have given these three factors some thought, and to have discussed them with anyone else who will be a part of the design or decision-making process, before talking to the company you plan to work with. Be sure to research the company you are considering as well. Read their reviews on Angie’s List and Better Business Bureau. Choose a trustworthy and reputable deck builder. Your new outdoor living space is an investment in both your home and happiness! 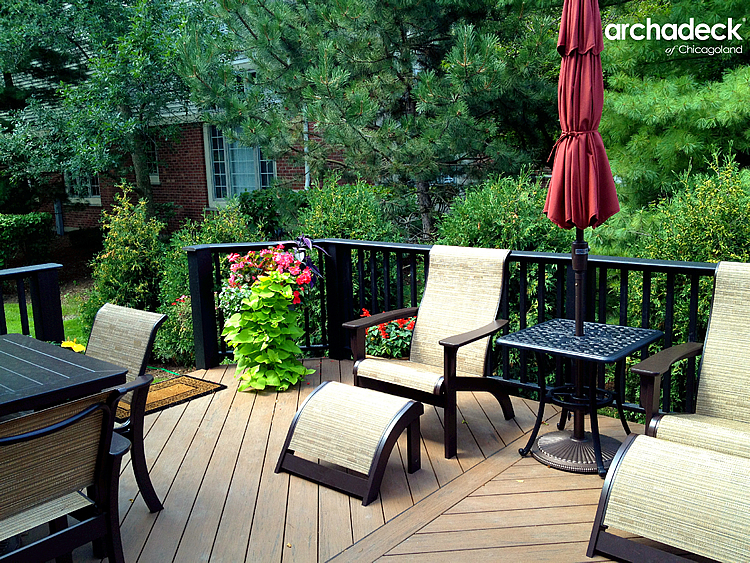 If you are ready to discuss options for adding a new deck, patio, or other outdoor living space to your Chicago area home, Archadeck of Chicagoland is here for you! Design options are customizable and virtually endless! Sign up for a free design consultation or call Archadeck of Chicagoland at (847) 496.4333 to speak with a design consultant and begin creating your new dream space.